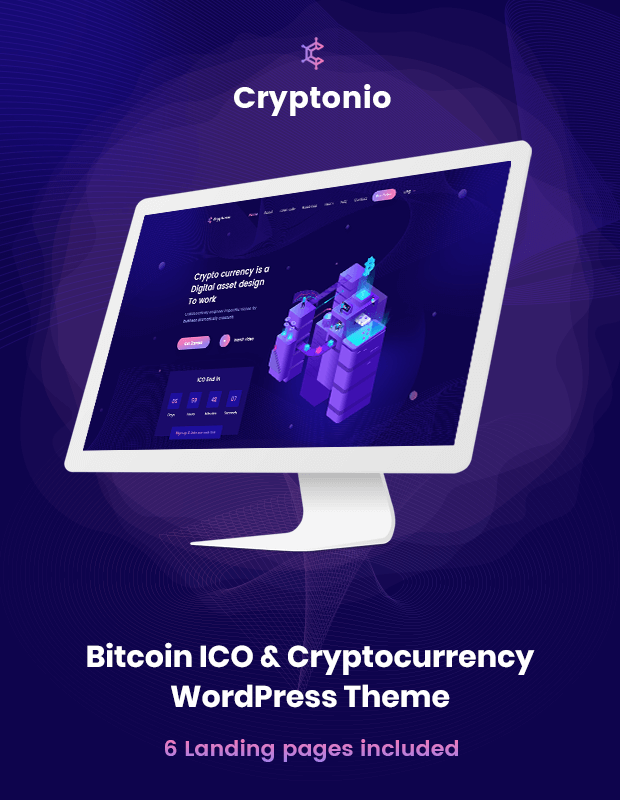 Cryptonio is a modern and elegant landing page WordPress Theme, build for ICO Agencies and digital bitcoin & cryptocurrency investment website. Cryptonio will help effectively channel the traffic generated by marketing campaigns and present the information in an attractive and functional environment. This theme is perfect if you plan to launch an ICO Campaign or Create your own exchange. We have added a bunch of informative sections like Intro section, About us section, Whitepaper section, Roadmap section, Team section, Tokens with Countdown section, Contact form.